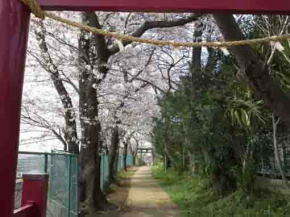 Along the Chuodori street (the central street) from Motoyawata Station in Ichikawa city, walking across Mamagawa River famous for cherry blossoms and going to the north, there are a stone torii gate and a red torii gate on a criff, they are the gates of Shirahata Jinja Shrine where Yoritomo Minamoto took a break under a pine tree standing at its gate. 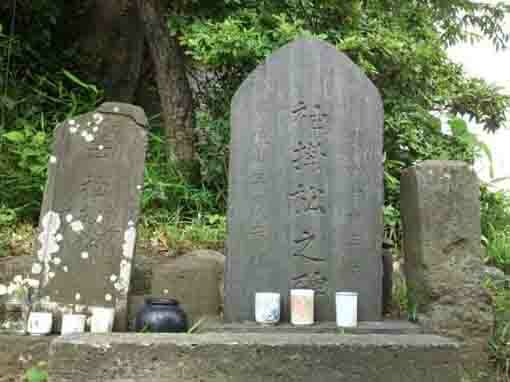 The legends said that the pine tree was called Sodekake no Matsu (a pine tree for hanging sleeves on) and the stone tablet scribing the name stands under the stone steps of the shrine. 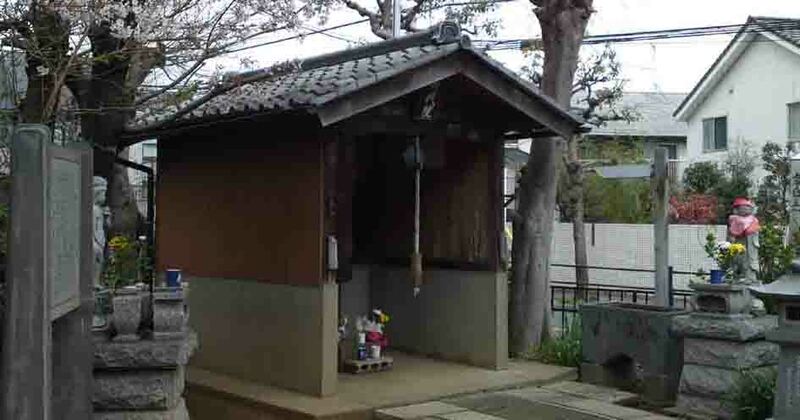 In addition, Yoritomo hanged his coat on. 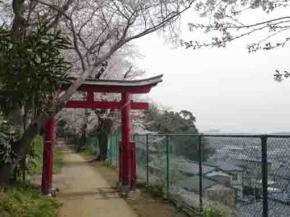 The view from the approach way on the cliff to the main building of Shirahata Jinja Shrine is very exciting, you can see Tokyo Skytree in Mukojima Tokyo from it. 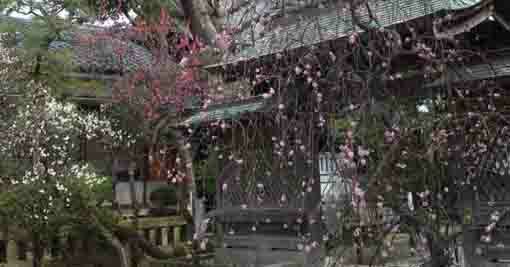 Yoritomo Minamoto might watch to the provincial office of Shimousa in Konodai. 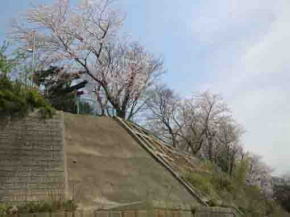 In spring, the approach on the cliff is covered with Sakura Blossoms, it is good to see them on the approach way, and also it is excitingly good to look up them under the cliff. 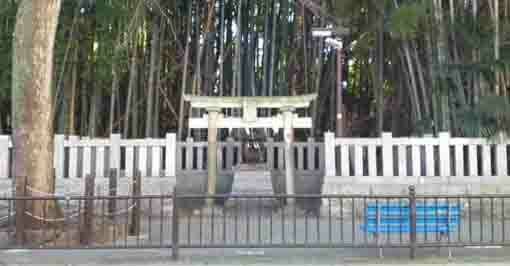 Why don't you visit Shirahata Jinja Shrine? 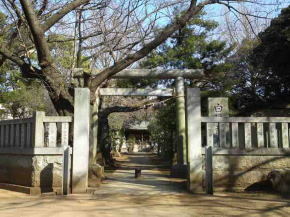 According to some classical records, Shirahata Jinja Shrine would be called Hachimangu Shrine at that time, it is a shrine that dedicates Homudawake no Mikoto (the Emperor Oujin), Takenouchi no Sukune, Tenman Tenjin as its divine gods. 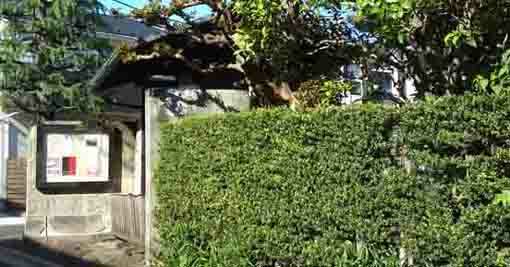 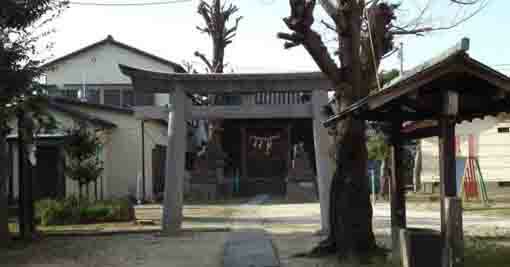 Some old villagers sometimes call it Hachimansama (a nickname of Hachimangu Shrine) even now. 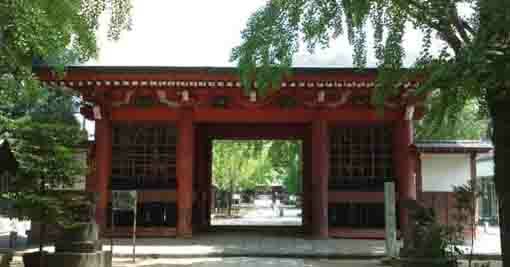 Shinmei Jinja Shrine was very old, it was built before 1486. 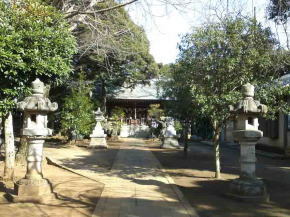 There is a stone tablet under the stone steps of Shirahata Jinja Shrine, it is the Memorial of Sodekake no Matsu (a pine tree for hanging sleeves on). 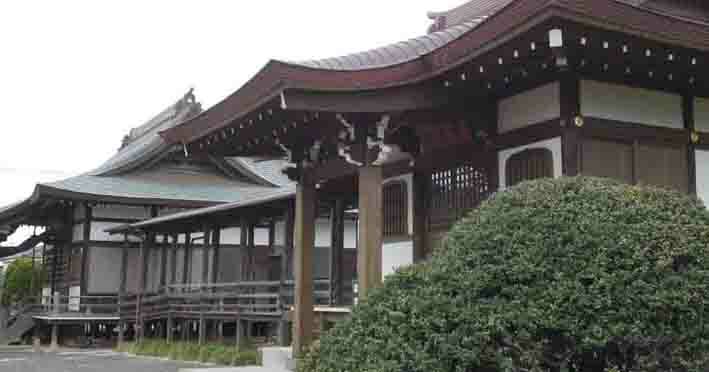 According to legends, after the Battle of Ishibashiyama in 1180 and Yoritomo Minamoto escaped to Awa province to rebuilt his arms, he visited here and put his white flags on while his march to the provincial government of Shimousa in Konodai. 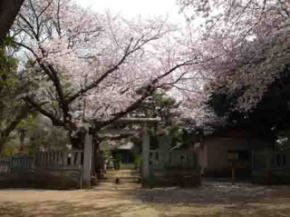 The name Shirahata is named after this event (white flags is called Shirahata in Japanese). 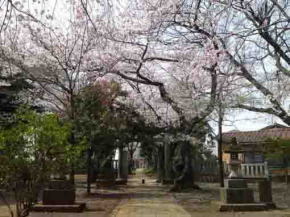 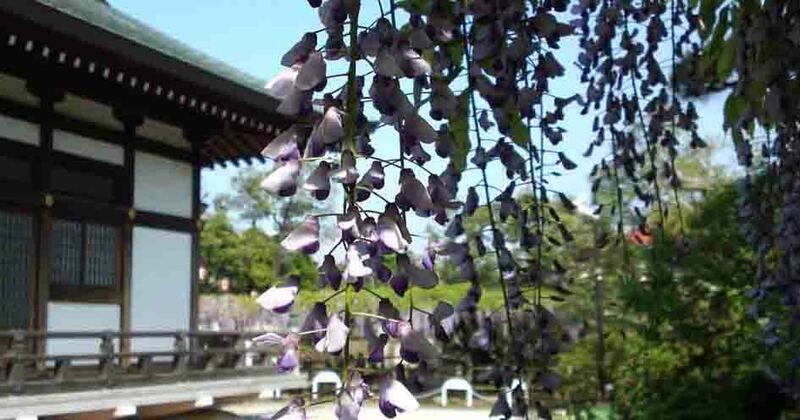 Shirahata Jinja Shrine is excitingly beautiful in Spring. 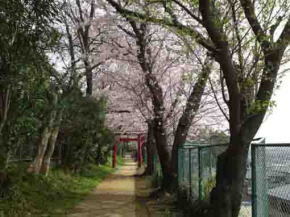 Three minutes walks from Mamagawa River,a famous scenic spot of cherry blossoms, there is an amazingly wonderful views of sakura blossoms along the approach way of Shirahata Jinja Shrine on the cliff. 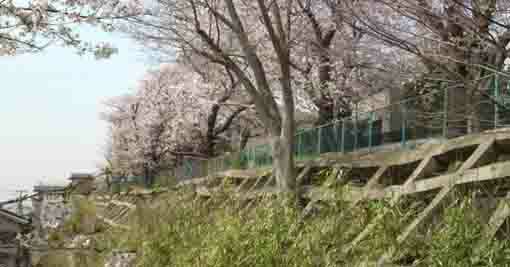 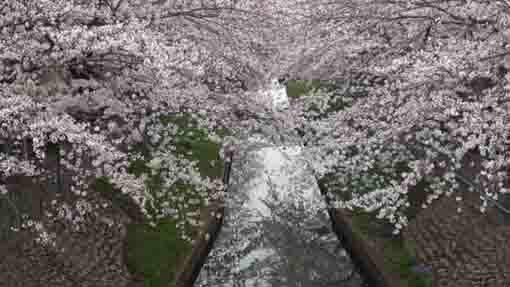 It is one of the best place to enjoy seeing cherry blossoms on the approach and views from the cliff simultaneously. 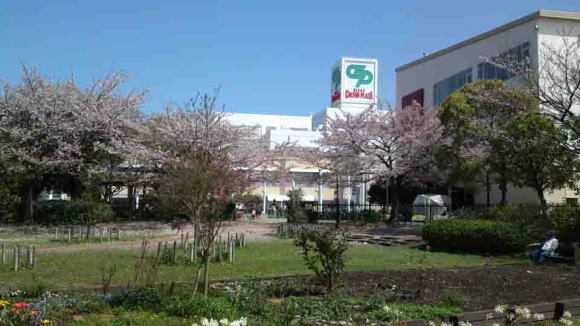 From Both Motoyawata and Keisei Yawata Sta, take Keisei Bus bound to Higashi Matsudo Sta, get off Miyakubo Sakaue bus stop. 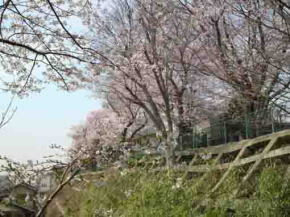 From Higashi Matsudo Sta, take Keisei Bus bound to Motoyawata Sta, get off Miyakubo Sakaue bus stop. 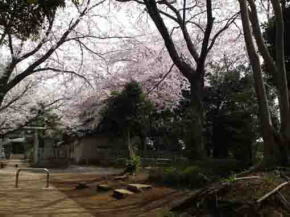 Take 3 minute walk from both Miyakubo Sakaue bus stop.